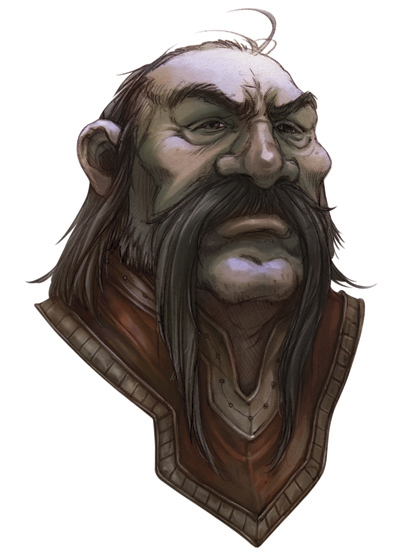 "Ah, nothing like getting down in a mine with the solid earth above your head…"
Generally viewed as one of the more level-headed of the mine managers, Dourstone hales from the Dwarven community of Greysmere and has been in Diamond Lake for more than 50 years. He is of the opinion that work is more important than politics, so manages to stay out of the fray. Rumours hint that he was driven from dwarven lands after collapsing a mine on rebelling workers. His workers, who he pays a pittance, are kept in line only by the guards he pays only slightly better.